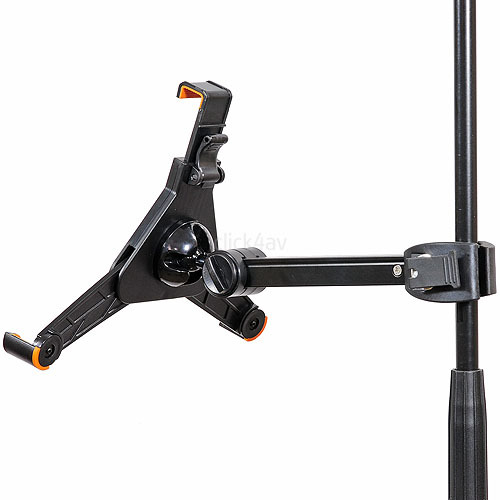 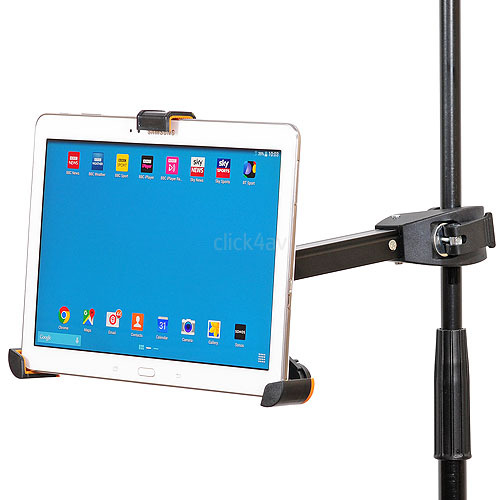 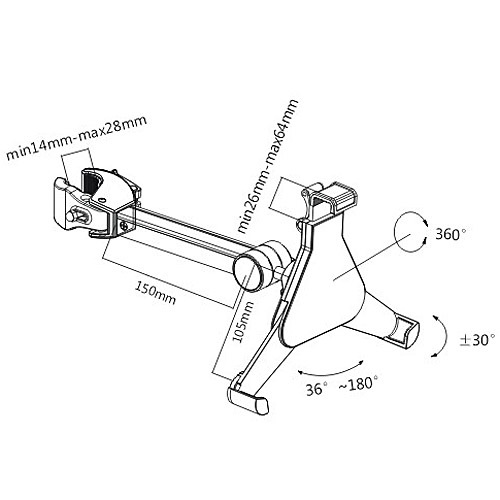 This adjustable mount is suitable to clamp an iPad plus most 8.9-10.4 inch tablets to a music or microphone stand. 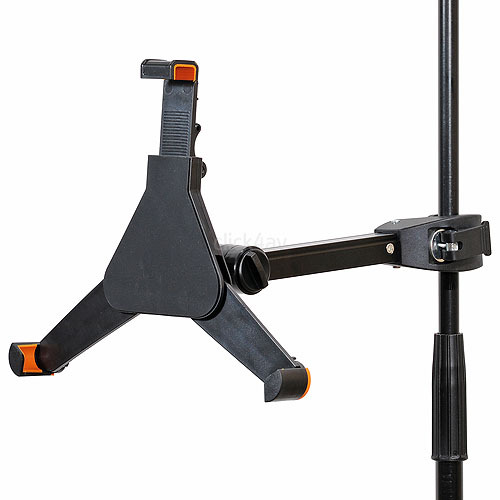 It fits mic stand tubes from 14mm to 28mm diameter and is quickly and easily fitted or removed without tools. 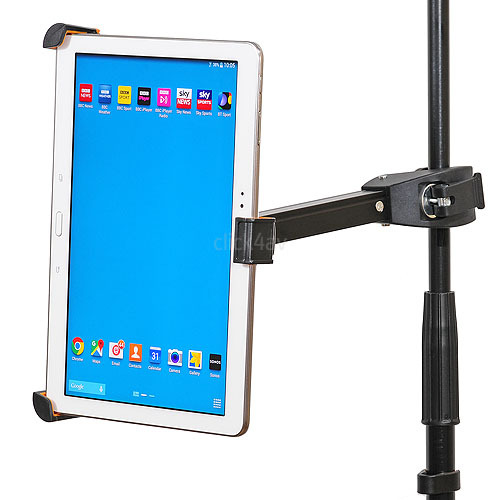 The tablet can be rotated portrait or landscape and adjusted with tilt and swivel.